Do you love the idea of rummaging through your kitchen for ingredients that can magically transform your hair? Then, you have made it to the right place! Often, people fritter away money on expensive hair products, treatments, and hair masks. Some even go as far as visiting a hair spa every month. But did you know you could get similar results using natural ingredients? One such ingredient is the banana. 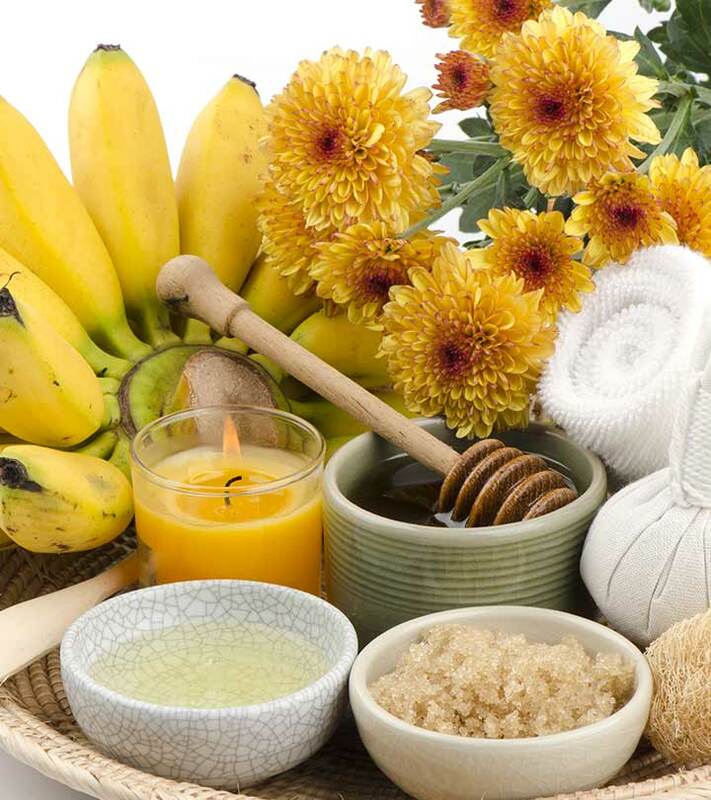 Banana has many nourishing properties that can repair damaged locks within a matter of days. It can make your hair super soft and silky. 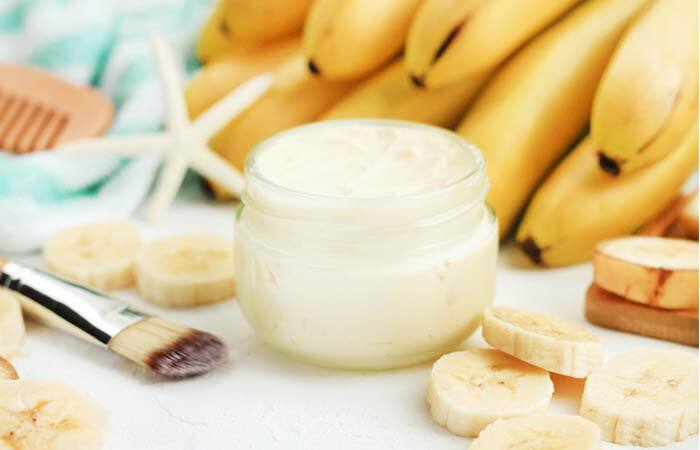 You can mix various ingredients with a banana to make some amazing hair masks. Do you want to know how to create this magic potion right in the comfort of your home? 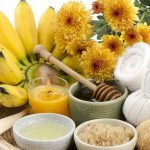 Check out the list of banana hair masks that I have compiled that can end all your hair troubles. But before that, let’s get to know the benefits of incorporating banana into these masks. It keeps your hair soft and damage-free. It prevents breakage and split ends. It maintains the natural elasticity of your hair. It strengthens and volumizes fine hair. Isn’t that amazing? 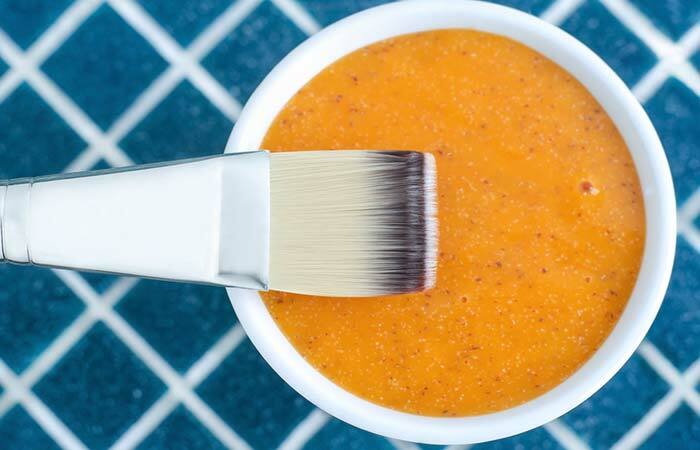 Let’s check out the different hair masks that you can make with this amazing ingredient. 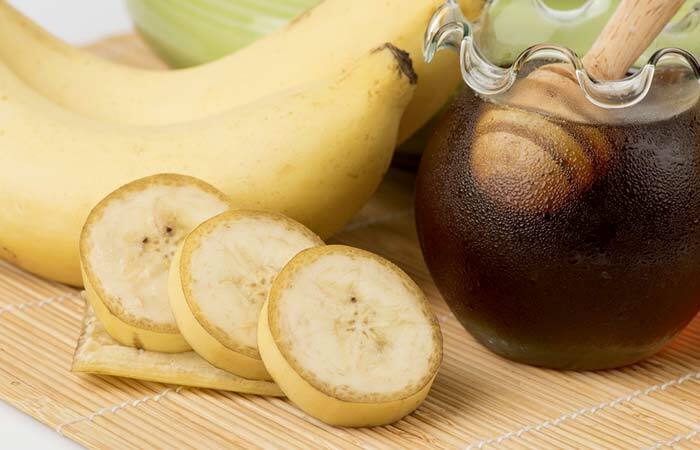 Blend the ripe banana until there are no chunks left. Add olive oil to this banana paste and mix thoroughly. Transfer the mixture to a clean bowl. Section your hair and start applying the mixture from the roots with the help of a hair color brush. Slather as much of the hair mask as you can, covering every bit of your scalp and hair. Tie your hair in a loose bun and cover it with a shower cap to prevent dripping. Leave the hair mask on for 30 minutes. Rinse the mask off with cold water before shampooing your hair. This hair mask conditions every hair strand on your head. Olive oil has rich moisturizing properties that help minimize breakage and split ends. This mixture is also rich in vitamin A, vitamin E, and antioxidants. You can replace your conditioner with this hair mask as it gives you soft and silky hair within a couple of applications. It is ideal for dry hair. Mash the banana in a bowl until you have a soft and creamy paste. Add the honey to your mashed banana and mix it in well. Shampoo your hair and let it dry. Part your hair into sections and apply the hair mask from the roots to the tips with the help of a hair color brush. Concentrate more on the tips. Tie your hair in a bun and cover it with a shower cap. Wash it off with lukewarm water and shampoo. This hair mask is ideal for thin and fine hair. 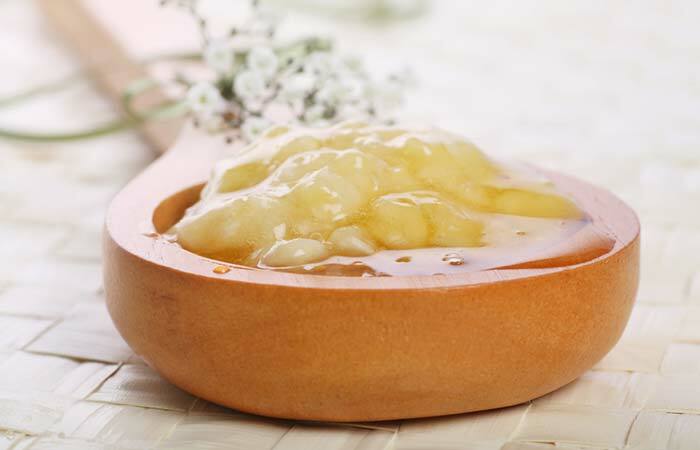 Since honey is a natural humectant, it adds moisture and shine to dull and limp hair. It nourishes the hair follicles and maintains the elasticity of your hair. It also reduces split ends and breakage to a great extent. It is great for strengthening your hair. Add the coconut oil and coconut milk, and mix the ingredients into a creamy paste. Shampoo and dry your hair before you apply this hair mask. Section your hair and start applying the mask from the roots to the tips. Make sure to cover your entire scalp and all your hair. Wash your hair with water and shampoo it as usual. Coconut has healing properties. Its fatty acids penetrate into the hair shafts easily and replenish your hair and add volume it. 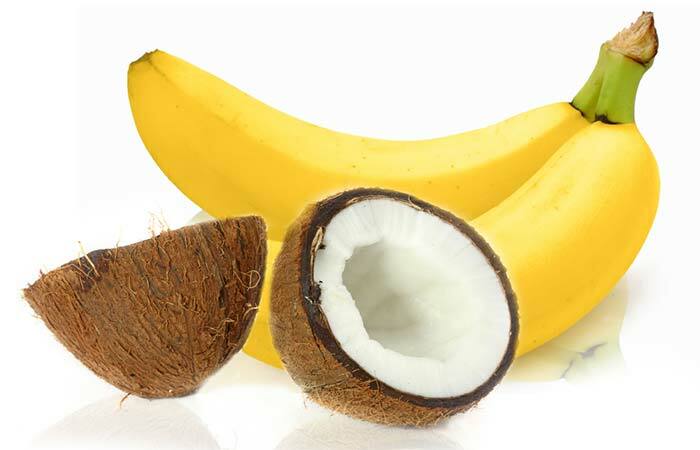 The combination of banana and coconut provides long-lasting shine and moisture to your locks and aids hair growth. 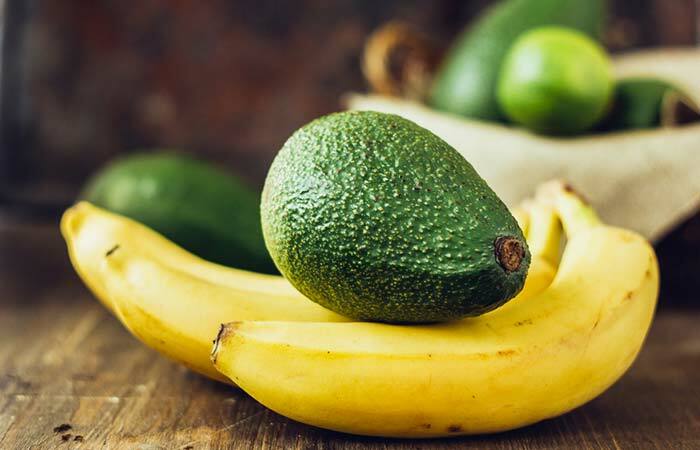 Mash the avocado and banana together until there are no lumps left. This hair mask is ideal for brittle hair. It contains a high level of proteins that help strengthen hair follicles. Avocado contains vitamins A, D, E and B6, amino acids, copper, and iron that improve your hair texture by adding moisture to dry and damaged tresses. This mask also prevents breakage and keeps your hair hydrated. Scoop out the pulp from the aloe vera leaf. 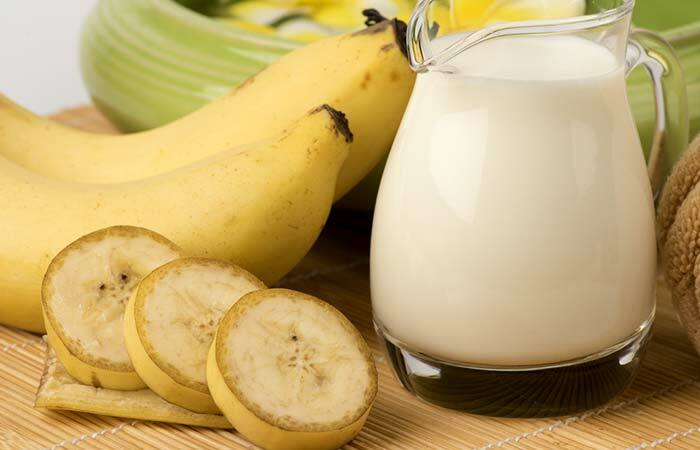 Transfer the aloe vera pulp and bananas to a blender. 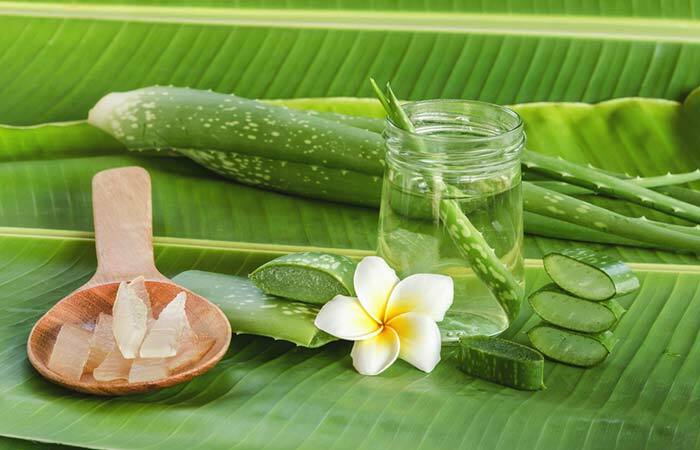 Aloe vera contains vitamins A, B, C, and E. These vitamins help remove the dead cells that have accumulated on your scalp and promote hair growth. This hair mask prevents hair fall and makes your hair strong, shiny, and bouncy. It rejuvenates your hair by boosting its elasticity and preventing breakage. Cut the banana into pieces and transfer them to a blender. Add the yogurt and blend the ingredients into a paste. Strain the paste to remove all lumps. Concentrate more on the scalp and the tips. Tie your hair up and cover it with a shower cap. and shampoo your hair as usual. This hair mask is ideal for dull and dry hair. It conditions your hair and leaves it feeling soft and silky. It reduces frizz and breakage. It also adds shine and seals the moisture in, giving your hair salon-like smoothness. It helps remove split ends as well. 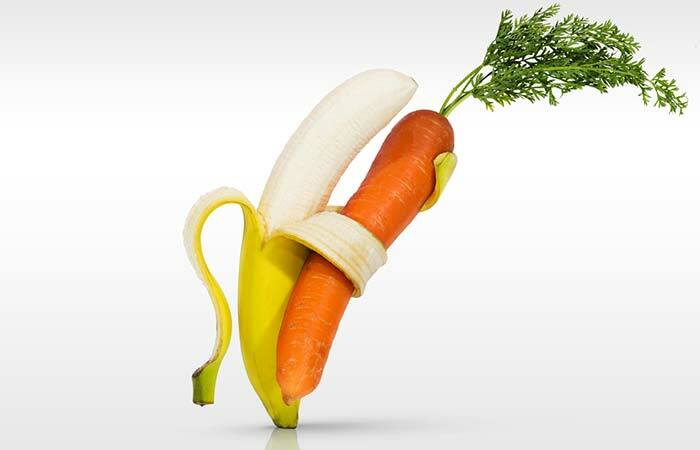 Chop the carrot and banana into small pieces. Put the soft pieces into a blender along with the yogurt and honey. Blend well you get a smooth paste. Apply this mask onto your scalp and all along the length of your hair. Put on a shower cap and leave it on for 45 minutes. Rinse your hair with cold water and wash it with a mild shampoo. Your hair can get dry and brittle during harsh winters. Use this mask to protect it from breakage and split ends. Carrots help in thickening your hair. They promote hair growth, curb hair fall, and retain the shine of your hair. They also improve the blood circulation in your scalp, thus preventing premature graying of hair. Add argan oil to this paste and mix well. Apply this mask to your scalp and cover each hair strand from the root to the tip. Tie your hair up and put on a shower cap. Rinse off the mask with water and shampoo your hair. 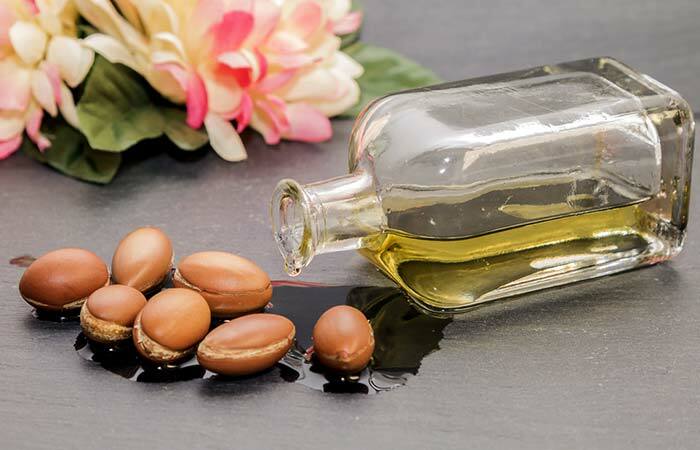 Argan oil is known to be highly nutritive as it contains fatty acids and vitamin E. It works as a leave-in conditioner, reduces split ends, minimizes frizz, promotes hair growth, and leaves your hair feeling soft, silky, and manageable. Overall, this hair mask is ideal for strengthening your hair and maintaining a healthy scalp. Add the honey to the mashed mixture and blend until there are no lumps left. Cover every inch of your scalp with this hair mask. Apply it to your hair from the root to the tips. Rinse off the mask with cold water and shampoo your hair. This hair mask is a scalp-soother. It is excellent for damaged and limp hair. Papaya prevents premature balding and strengthens your hair. It helps in reducing dandruff and keeps your hair shiny throughout the day. On the whole, this hair mask acts as a natural conditioner, making your hair softer and shinier with every use. Add milk to it and mash the ingredients until you have a thick, creamy paste. Apply this hair mask on clean hair. Start from the roots and work your way to the tips. Coat your entire scalp with this mask. Wash your hair thoroughly with water to get rid of the stickiness. This hair mask is the best and easiest way to keep your hair nourished. Applying this hair mask twice a week can improve your hair texture like magic. The nutrients, protein, and vitamins in milk help retain the strength and shine of your hair. If you crave straight hair, this mask is your go-to. Gone are those days of dry, rough, and lifeless hair. Try these hair masks, and you will never have bad hair day again. Which one of these banana hair masks caught your eye? Let us know in the comments section below. Do you have an unmanageable and uncontrollable mass of hair that makes you look like you have just been electrocuted?